Every day a new product is launched in the market but the successful ones are those that perfectly suit the requirements of customers. A product matching the requirements of customers can be designed only when sufficient knowledge is available about the product and that knowledge is managed efficiently. KPIs are the financial and non-financial metrics arranged in a balanced scorecard that measures the performance of an organization.KPIs for product knowledge management are grouped into four perspectives: financial, customer, internal process and innovation perspective. Financial perspective specifies the financial savings and expenditure due to proper management of product knowledge and contains KPIs like percentage increase in product training cost, percentage increase in R & D expenditure, average cost of product KM initiatives and percentage savings in operational cost. Customer perspective judges the customer perception and comprises of KPIs like percentage reduction in number of customer complaints, percentage increase in number of repeat customers, average customer satisfaction scores and percentage decrease in repairs and replacement cases. Internal process perspective includes KPIs such as success rate of new products, number of product knowledge management systems installed, number of new models introduced and percentage reduction in defective products. This perspective judges the performance of internal processes of the company.The innovation perspective gives details of the innovations and inventions done to improve quality and enhance efficiency. The KPIs for this perspective are number of external knowledge links, number of new projects undertaken, technical training sessions and number of product design sessions. Manager may want to measure R&D expenditures related to product knowledge management. Number of knowledge management systems installed is another important and informative indicator in this category. There is an innovation perspective which contains KPIs related to improving efficiency of product knowledge management. Download trial version of Product Knowledge Management Performance Indicators. 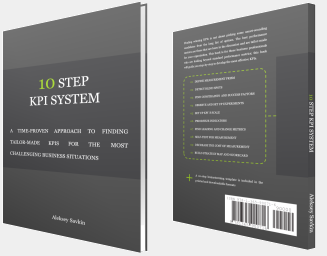 Purchase full version of Product Knowledge Management Performance Indicators + bonus. Product Knowledge management is about collecting and arranging product knowledge in a manner that can be used for designing better and improved products. The area asks for getting into the subject and coming up with useful understanding about the dynamics that work beneath 'successful product shaping'. Some of the fields that require attention are 'understanding own aims clearly and precisely', 'carrying out a competitive analysis' and the likes. Pulling together all the areas involved makes it mandatory to go for a management tool for measuring and managing performance. To proceed with the task, spotting of useful metrics, often referred to as KPIs (Key Performance Indicators) is done. These are organized under related and specific heads on a Balanced Scorecard (BSC). Further, these are used for making sure that values remain within the prescribed range. 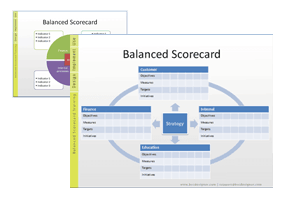 By making regular visits to these scorecards, one can give way to efficient and useful product management strategy. Such a statistical path enables the user manage product knowledge for outcome's enhanced status. On the whole, BSC has proved its utility in a number of sections owing to the 'measurable' approach imparted by it to the process. 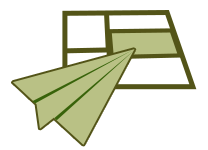 Consequently, PKM is also one such area where it can be put to use. Related metrics and KPIs for: Project Management, Product Launch, Operations, Risk Metrics, Change Management, Resource Management, Communication Measurements, Time Management, Cost Management, Knowledge management. 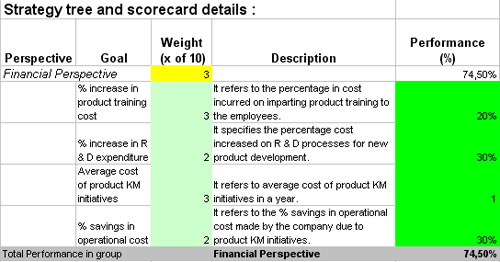 This is the actual scorecard with Product Knowledge Management Performance Indicators and performance indicators. The performance indicators include: product knowledge management financial perspective % increase in product training cost % increase in r & d expenditure average cost of product km initiatives % savings in operational cost customer perspective % reduction in number of customer complaints % increase in number of repeat customers average customer satisfaction scores % decrease in repairs and replacement cases internal processes perspective success rate of new product number of product knowledge management systems installed number of new models introduced % reduction in defective products innovation perspective number of external knowledge links number of new projects undertaken technical training sessions number of product design sessions. 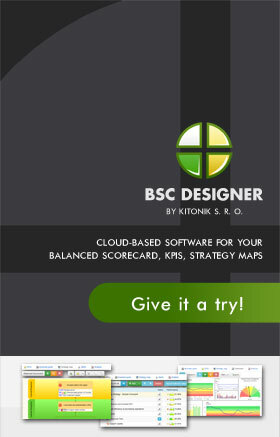 Download a trial version of Product Knowledge Management Evaluation Balanced Scorecard or purchase a full version online.